Every Friday morning we host a Real Estate Mastermind session that is open to all Realtors. We facilitate a breakfast meeting designed to enhance increase productivity, knowledge and enjoy some Community in the Toronto Real Estate Business. Today we were lucky to have David Pylyp as our special guest speaking about the importance of videos in the Real Estate Sales Business. David Pylyp shared all his techniques in creating a video, uploading a video and getting a video ranked. Videos help build rapport with potential clients. If you can’t stand watching yourself on video, don’t watch your own videos. Q&A sessions with interesting people. Neighbourhood news and topical information make great topics. Microphones are the most important element most people are missing. Editing software makes bland to glam. Come join us at our next Toronto Real Estate Mastermind Session. Attending we have Super Twitter Queen Lisa Roth Collins, Social Maven Christina Kroner, and New Agent Marcos Benaim. Thank-you for your support each week and serve a reminder that it is not a Keller Williams event and that it is open to all realtors and it benefits each other. Sharing is the future of doing business and surviving. 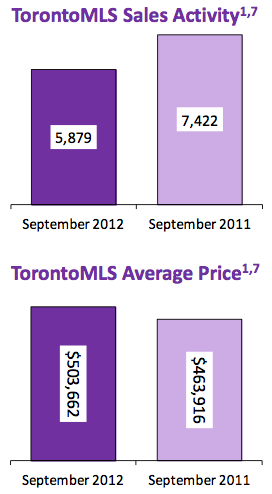 Check out www.TorontoRealEstateMastermind.com for more information. Categories: Toronto Real Estate Industry, Toronto Real Estate Mastermind | Tags: christina kroner, david pylyp, david pylyp teaches how to do videos, how to do real estate videos, Keller Williams north York, kirby chan keller williams, lisa roth collins, looking for a brokerage, Marcos Benaim, real estate training event, toronto real estate mastermind, videos in real estate, videos real estate | Permalink. I have just been appointed as an Ambassador for Inman News Agent Reboot 2012 Toronto. As the Director of Technology and Social Media at Keller Williams Real Estate Service, I am proud to be a part of such a great event. Agent Reboot brings 6 power packed hours of the best marketing and technology to you. These are not going to be boring presentations but live demonstrations in real-time and sometimes controversial. In the past Agent Reboot events, attendees gave a perfect 10 for content, focus, logistics and most of all, practical tips you can use to take your business to the next level. Simply put, Agent Reboot gives you more bang for your buck. Only $49 wow! The Way The World Communicates Just Changed – Have You? Between the online toolkit for attendees (filled with special offers just for Agent Reboot attendees), downloadable presentations, and event giveaways, this event should be priced at $249. Categories: Real Estate Articles, Toronto Real Estate Industry | Tags: agent reboot 2012 toronto, agent reboot toronto, chris smith, darin persinger, google tools real estate, jim marks, jimmy mackin, katie lance, kirby chan real estate toronto, michael callaghan, real estate and twitter, real estate facebook, real estate marketing toronto, real estate technology, stephen pacinelli | Permalink.